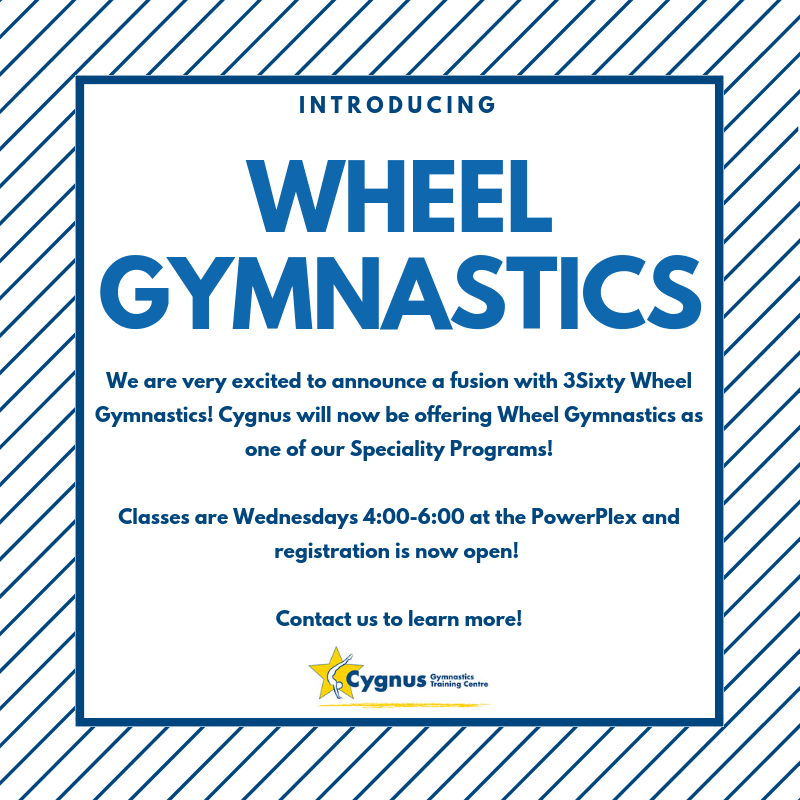 Cygnus is very excited to announce a fusion with 3Sixty Wheel Gymnastics. 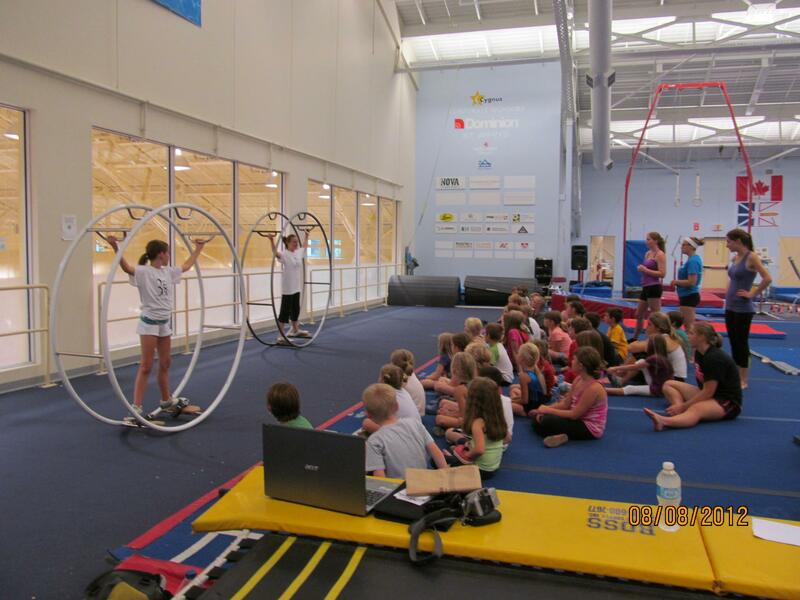 Cygnus will be offering German Gym Wheel Gymnastics as part of our Specialty Program offerings. This program will be instructed by Wheel Gymnastics World Champion Julia Pohling! If you are looking for something new and exciting, that challenges your senses and is a great workout - Wheel Gymnastics is for you! This program is suitable for ages 11 and up and adults are welcome! If you are a former gymnast or athlete looking for something new, this is a great way to keep up your gymnastics and fitness with new lower impact and exciting sport. This program takes place at the NL Sports Centre at 100 Crosbie Road Wednesdays from 4:00-6:00. This elegant sport was invented in Germany in 1925 and was introduced to Newfoundland in 2012. Wheel Gymnastics trains the whole body, promotes coordination, strength and focus similar to artistic gymnastics while being very low impact. 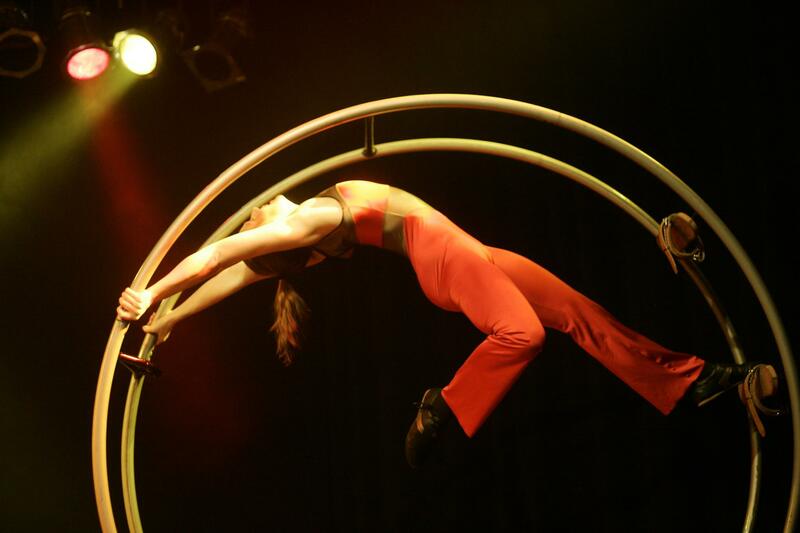 Students will learn the basic moves of all four disciplines of wheel gymnastics: straight line, spiral, vault and Cyr wheel. The group will also learn tricks with two or more people in one wheel and work on display routines. Check Out a Short Video HERE! Julia grew up in Germany and trained in the most prestigious training center for Wheel Gymnastics in the World: Taunusstein, Germany. Beginning when she was 5 years old, she has won 15 World Champion titles and numerous National titles. She has worked as a coach in her home club and abroad for more than 17 years. Julia is an elite-level coach, judge and instructor for coaching clinics, certified by the International Wheel Gymnastics Federation. She moved to Newfoundland permanently in April 2011 and started 3SIXTY Wheel Gymnastics in St. John’s in January 2012. Since December 2015 she volunteers on the Board of Directors of Gymnastics NL. Furthermore she is member of the organizational committee for the 2016 World Championships in Cincinnati, OH, USA. Her goal is to introduce and establish the sport of Wheel Gymnastics in the province of Newfoundland and Labrador. Registration is open and ongoing HERE!